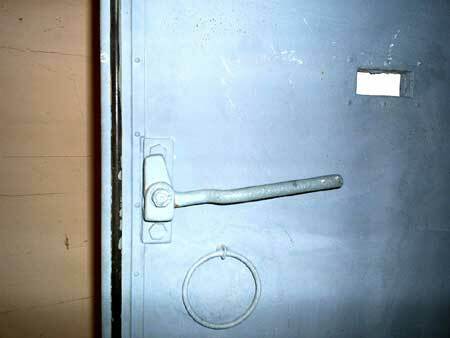 More WW2 gastight doors with peepholes found: Van Pelt's homicidal "gas chambers" are everywhere! 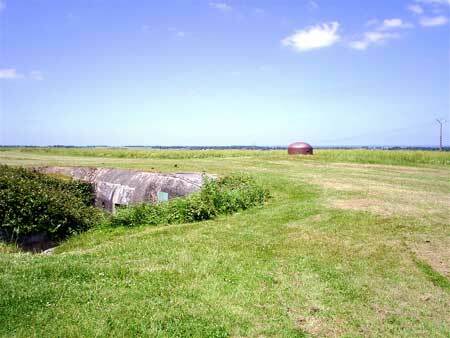 BESIDE the main road connecting Colleville-Montgomery and Bieville-Beuville in Normandy, France, one can find the splendidly preserved German anti-invasion bunker complex now called the Hillman Fortress (Le Point Fortifié Hillman). It lies between the famous "Sword" D-Day landing beach and the French city of Caën. The 1st Battalion of the Suffolk Regiment assaulted the complex at 1300 on June 6, 1944 and accepted the surrender of its commanding officer, Colonel Krug, and his 150 men (of 736 Grenadier Regiment) early on June 7 after a very bitter fire-fight. This 24-hectare complex of trenches, gun cupolas and underground galleries, radio rooms, command and control centres, sleeping quarters, and meal messes served as the headquarters of the region's German coastal defences. 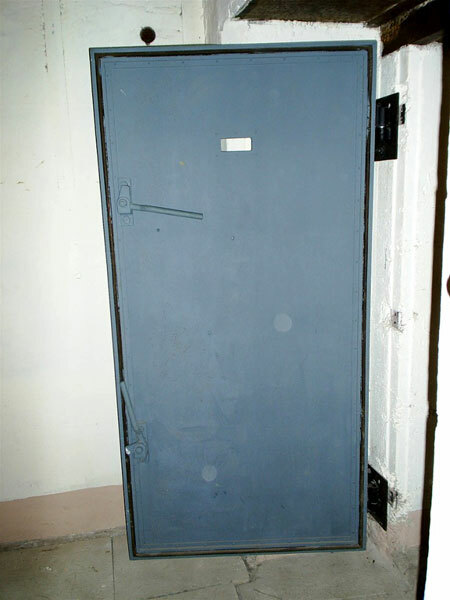 THE internal doors within this remarkable bunker installation may be of particular interest to you and your readers. Their presence here -- and in many similar installations I've visited -- demonstrates the truth of a key point that conformist Holocaust scholars find highly inconvenient. It demonstrates that the existence of gas-tight doors with peep-holes is flimsy evidence of genocidal activity within the rooms they seal. 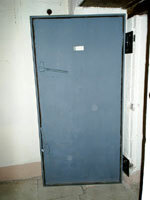 The Hillman Fortress's internal doors are heavy steel plates with sealing tightening handles and extant rubber gas-proof seals (clearly visible in the photographs). They all have eye-height peepholes of a thick, transparent early plastic that was considerably stronger than glass. 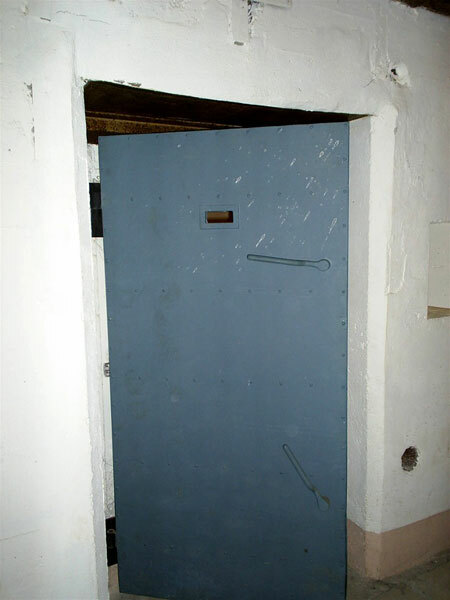 Even though I have seen gas-tight doors like these in military and even civilian bunkers and bomb-shelters throughout Germany and occupied nations, and I know they existed to keep inhabitants alive during assaults or air raids, I did make a point of asking the French official guide why this complex and others like it along the Normandy coast needed gas-sealing. The French guide explained that these gas-proof doors were necessary to prevent German army inhabitants suffering from toxic fume poisoning or oxygen depletion during direct ground assault or air raids. Our dossier on the gastight door controversy.